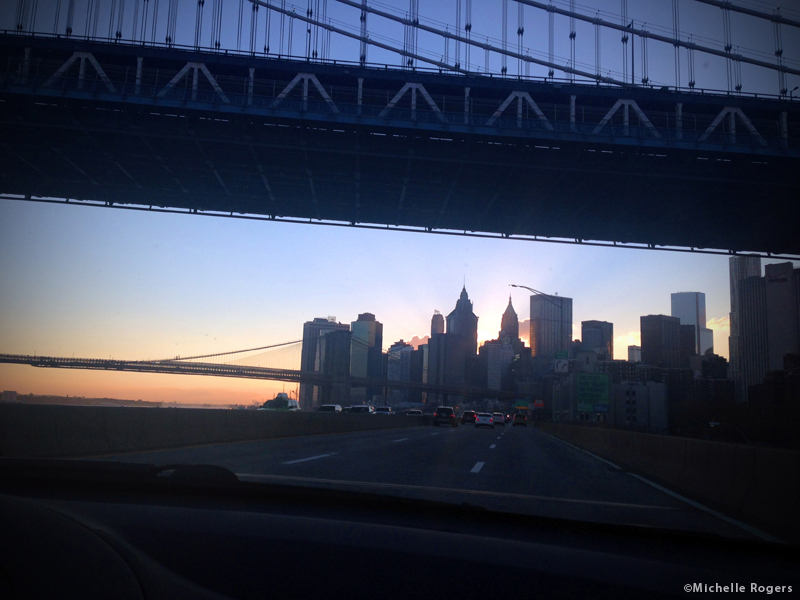 Going to Fitness Magazine's Blogger Meet & Tweet in New York City - Michelle Rogers, Inc. 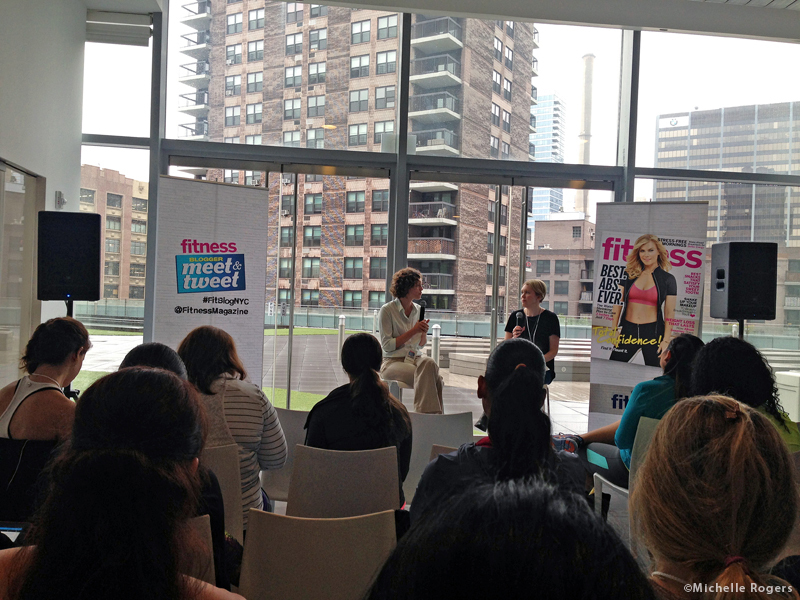 In October, I went on an exciting trip to New York City for Fitness Magazine’s 2014 Blogger Meet & Tweet. I was so honored to be invited by Fitness to this annual event for the second time. It was held at the Mercedes Club, an upscale fitness facility. The day included four presentations: “The New Formula for Fitness Success,” with trainer Holly Rilinger; “CrossFit, Mud Runs, Marathons! 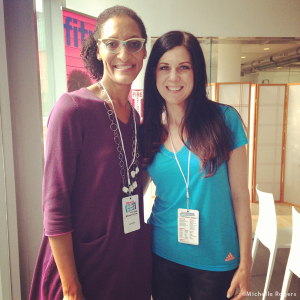 How to Stay Healthy in a Hard-Core World,” with Marci Goolsby, M.D. ; “Eat Healthier, Live Happier: Game-Changing Cooking Secrets,” with Carla Hall, a chef and host of The Chew; and a panel discussion, “My Digital Brand is My Business,” with three successful bloggers. After each talk, the audience had a chance to ask questions of the speakers. One of the best parts about events like this is the opportunity to meet other bloggers and talk shop. And it’s always so cool to finally see in person those you’ve been following on social media. A highlight was getting to meet TV’s Carla Hall, who was warm and down-to-earth — and she even chatted with me for a few minutes! 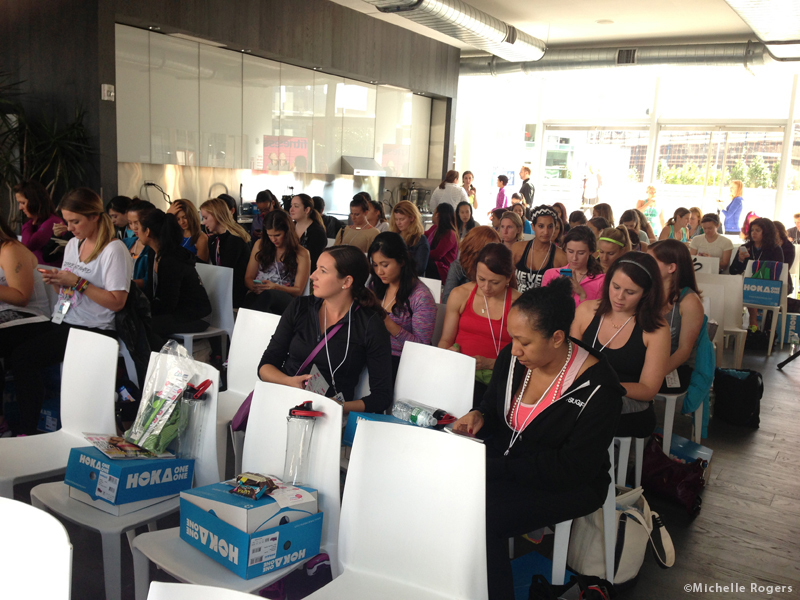 After lunch, the bloggers had time to visit the sponsor booths of companies such as Eddie Bauer, Balance Bar and Dermalogica. The event ended with an optional 3-mile run. On our way out, we were handed an amazing gift bag, stuffed with a huge array of products to try. Just like last year, the Blogger Meet & Tweet was a wonderful experience. Bloggers on their phones is a good thing. They’re live-tweeting, Instagramming, and taking notes.